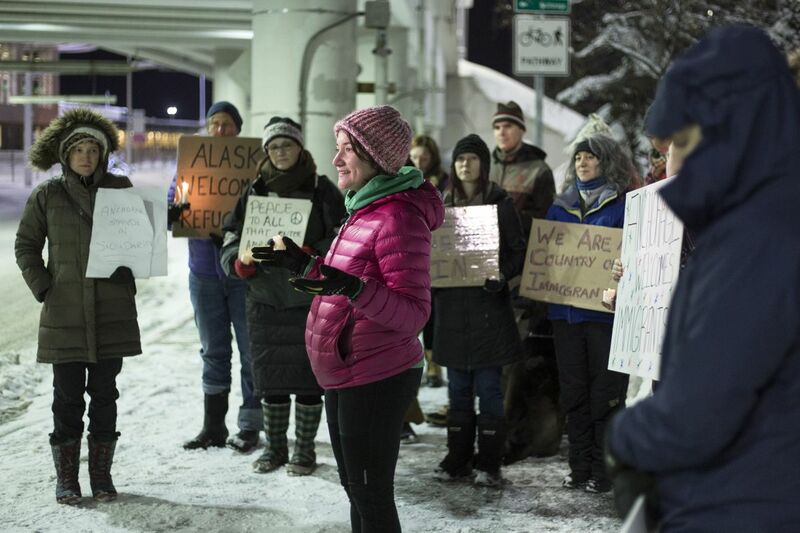 Over a dozen people gathered for a vigil Saturday evening at Ted Stevens Anchorage International Airport in response to President Donald Trump's executive order on immigration. 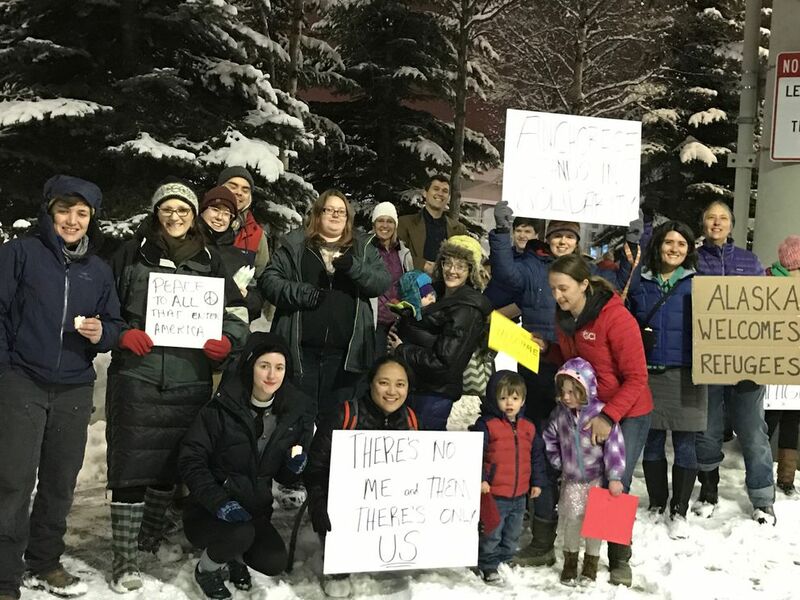 Demonstrators repeated multiple chants were repeated to show solidarity with immigrants and refugees, such as: "Anchorage welcomes immigrants" and "No hate, no fear, immigrants are welcome here." Refugees, immigrants and other travelers were reportedly detained at airports across the country Saturday, and a federal judge issued an emergency stay that temporarily blocks the U.S. government from sending people out of the country after they have landed at a U.S. airport with valid visas. 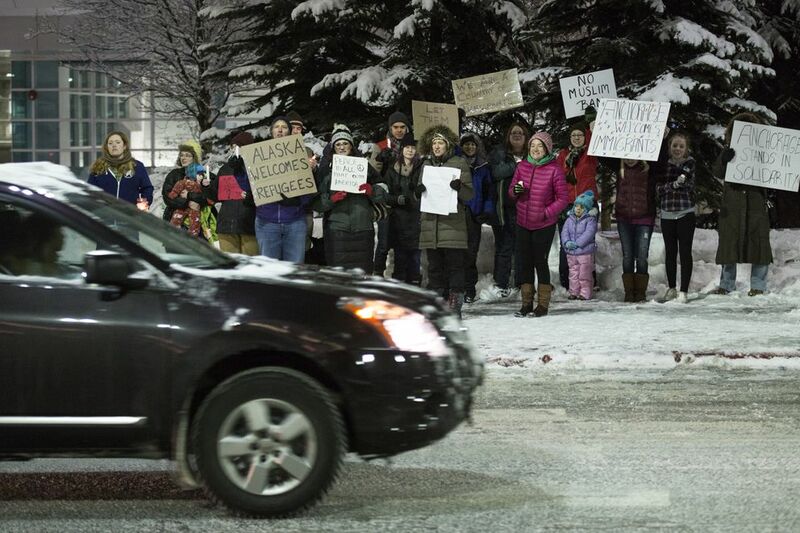 There were no reports of anyone being detained in Anchorage as a result of Trump's immigration order. 'Dreams die' for refugees on the verge of coming to the U.S.